EVPÚ Defence offers complete project solution according to the customers´ requirements, from product development to service and maintenance during the whole life cycle of the delivered systems. EVPÚ Defence is a member of the Defence and Security Industry Association of the Czech Republic, and holds the ISO 90001:2001 and AQAP 2110 certificates and permission to realise foreign trading in military material. Special monitoring and surveillance vehicles are designed to increase security of border zones, pipelines and critical infrastructures. Vehicle systems are capable of detecting and identifying suspects, vehicles and other objects of interest both daytime, at night and in adverse weather conditions up to a 20km range (according to selected configurations). The systems feature a modular and compact design and have low-power consumption. Multi-sensor heads and containers are developed, designed and manufactured specifically to customer requirements. 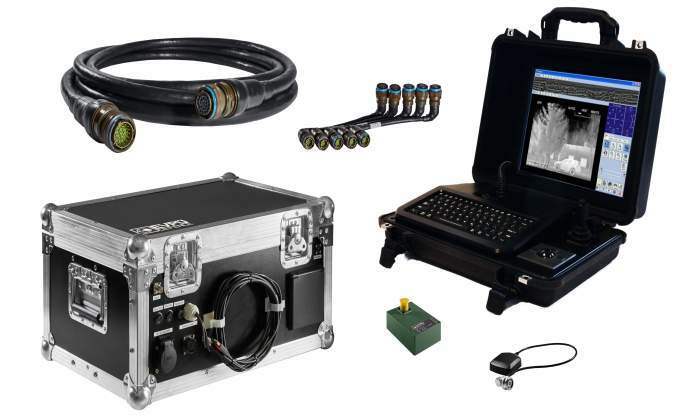 The systems may integrate various combinations of IR (cooled or uncooled) cameras, CCD TV cameras, black and white cameras, laser rangefinders, DMC and GPS, allowing customer to make use of a 24/7 surveillance capability to the range of up to 20km. The systems also include a control unit and dedicated software package, whose functionalities make the job considerably easier for system operators and increase their effectiveness. As a standard, the system feature functions such as panorama, scan, alarm, digital image stabilisation, autofocus, target tracking, integration of digital maps and image recording. Pan / tilts are designed for high-precision positioning of optical or other equipment in azimuth and elevation. EVPÚ Defence manufactures several basic variants that further divide into subgroups according to their respective performance parameters and the way sensors are installed. All types of offered P/T use TCP/IP protocol or RS422 (for some P/T optionally RS485) for communication, have an n x 360° azimuth ability and 24VDC operating voltage. Depending on preferred variant the maximum bearing capacity is up to 2kg x 25kg on the sides and 70kg on the top, azimuth velocity from 0.03° to 120°, elevation velocity from 0.03° to 100°, angle reading accuracy from ±0,1 to 2,5 mrad, elevation / depression range ±45° and operating temperature interval from -32° to 70°C. All types of P/T offered comply with the requirements of under EN61000, MIL-STD-810 and MIL-STD-461. Cameras are designed for short, middle and long surveillance applications during the day or night. The cameras with their accessories are placed in a sealed ruggedised environmental housing to protect optical and electronical parts and they are remote-controlled via a serial line. The housing includes a protective front sun roof. Depending on preference the cameras may be equipped with various digital and optical zoom, internal heating system and the functions as autofocus, image stabilisation, backlight compensation, advanced white balance, progressive scan, SMART lens control technology, Auto ICR, wide dynamic range, enhanced noise reduction, 2D / 3D noise reduction, de-fog, motion detection, colour pallets, video enhancement, freeze image and OSD. Electro-mechanical lifting mechanism is developed especially for surveillance electro-optical systems. It is stable and has a lightweight solution that determines various type of vehicle installation with the possibility of emergency-manual control. Other features are payload up 100kg, wide operating temperature range of -32°C to 55°C, variable height of up to 3m according to the requirements, binary logic control via control board, easy maintenance, anodized aluminium alloy finish and self-locking mechanism. 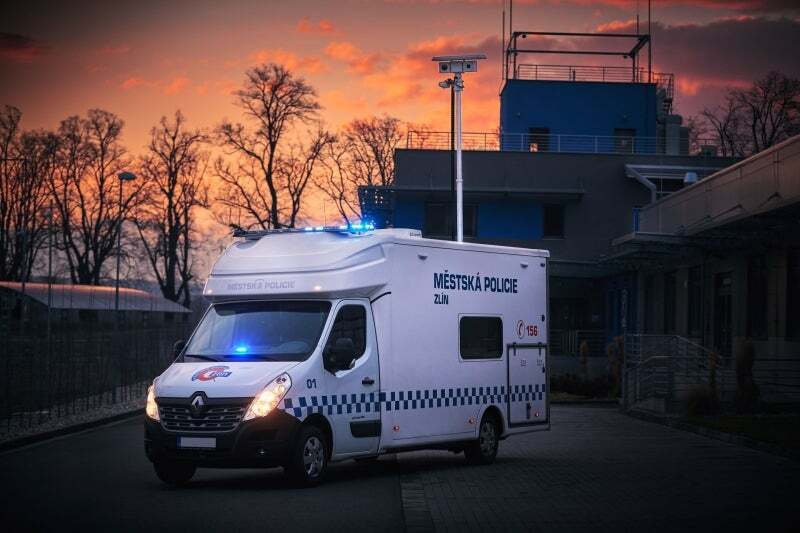 In 2016, our mobile monitoring vehicle with short range monitoring system MIRA 25 HD was bought by the police in our region. EVPÚ Defence, founded in 2001, specialises in the development, design and production of special fixed and mobile monitoring, and surveillance systems intended for the protection and control of borders, airports, harbours and other areas of high interest. EVPÚ Defence was established in 2001 and focuses on the development, design, manufacture of various products. For the fifth time we are going to be the partners of NATO Days in Ostrava and Czech Air Force Days, the biggest security show in Europe, taking place between 16-17 September at Leoš Janáček airport in Ostrava. EVPÚ Defence will be exhibiting at DSEI London from 12-15 September at booth no. S2-370. In 2017, EVPÚ Defence announced the launch of ten new cameras. EVPÚ Defence would like to invite you to the International Defence and Security Technologies Fair IDET 2017, which takes place from 31 May - 2 June at the Exhibition Centre in Brno, Czech Republic. EVPU Defence would like to invite you to the worldwide exhibition of internal state security MILIPOL, which is being held in Paris Nord Villepinte from 17 to 20 November. From 10-13 September 2013 EVPU will be exhibiting at the DSEi event, the world-leading show of defence and security technology and products, at the ExCel exhibition centre in London, the UK. 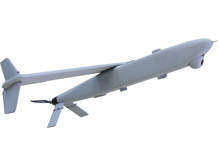 EVPU Defence is pleased to announce it will be exhibiting at IDEX 2013, which is taking place in the Abu Dhabi National Exhibition Centre, UAE, on 17-21 February.